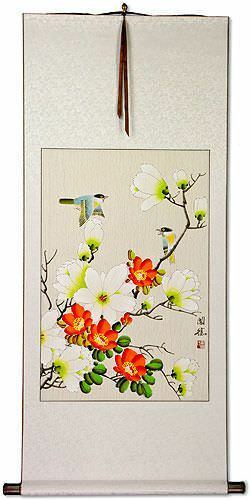 Artwork Panel: 20cm x 69.5cm ≈ 7¾" x 27¼"
Silk/Brocade: 29.2cm x 125.5cm ≈ 11½" x 49½"
Width at Wooden Knobs: 38.2cm ≈ 15"
This piece was painted by Yang De-Wen. 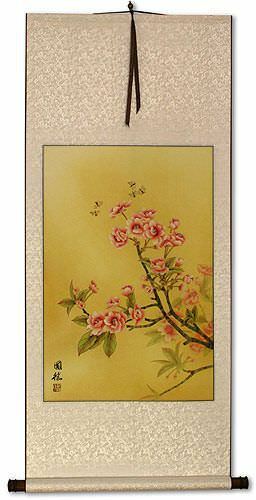 The Chinese characters express a title that means "Orchid, the purest of all flowers", and the artist's signature. 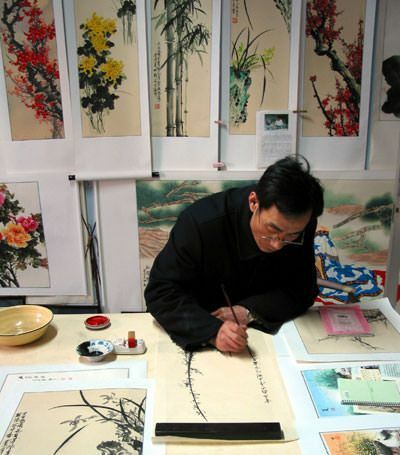 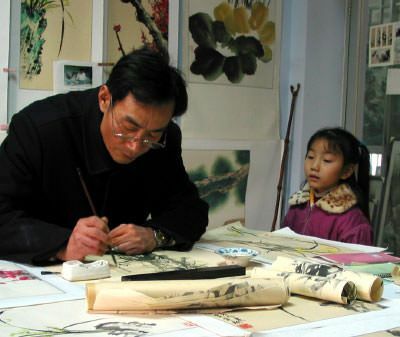 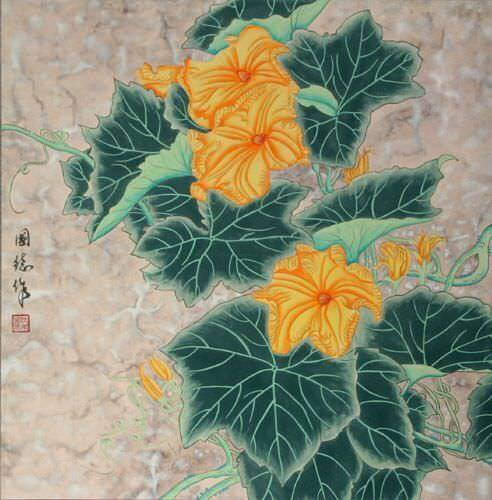 Please note that the xuan paper used to create this artwork is made by hand. 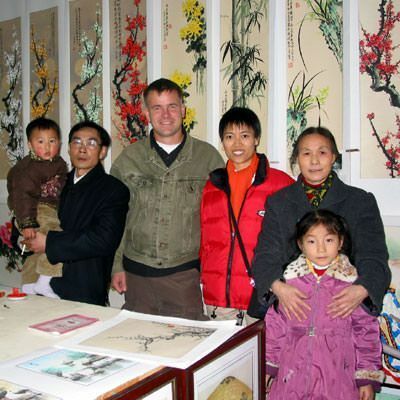 You will find a few artifacts in the paper (fibers, husks, unbleached pulp, etc). 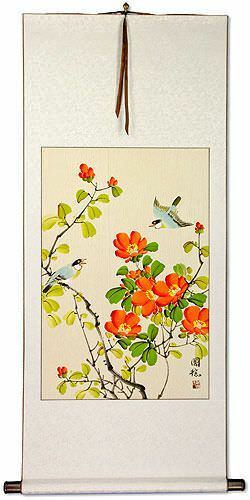 This is part of the artwork and the handmade nature, and should not be seen as a defect.